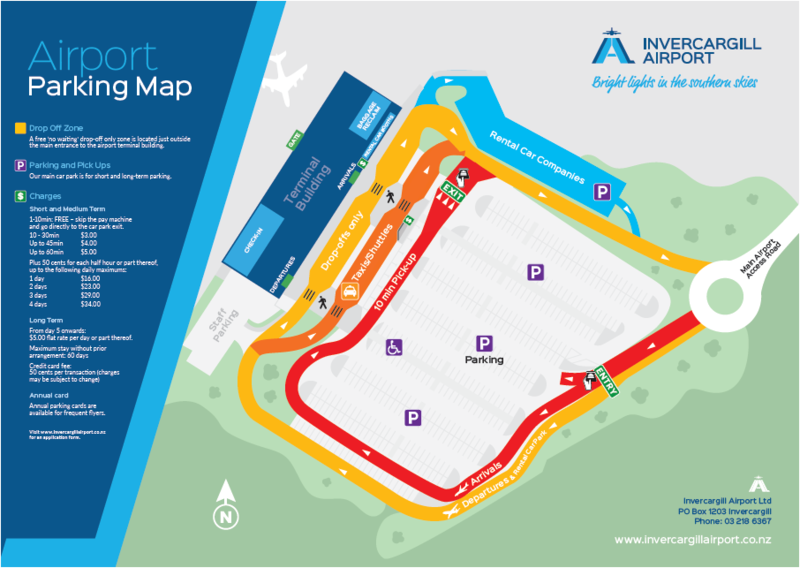 We have one big car park for both short and long-term parking, so feel free to park wherever you like within the designated areas. 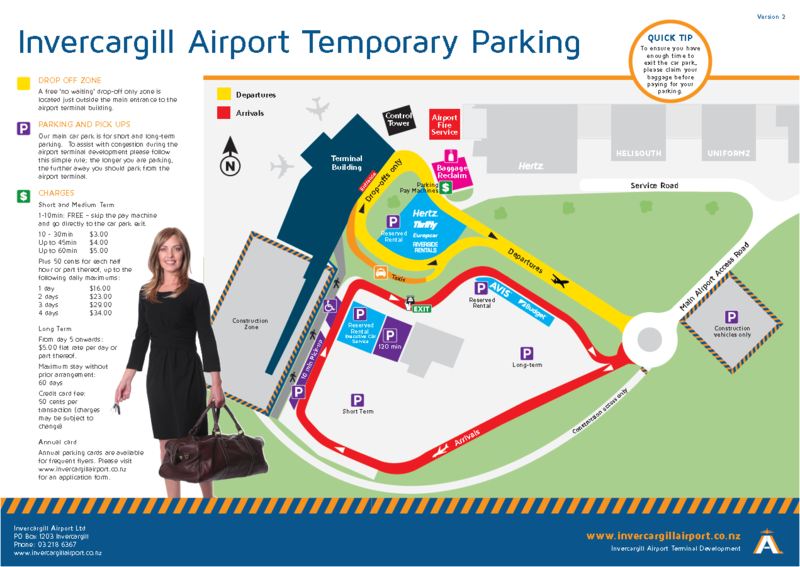 If you need just enough time to pick up colleagues, friends or family, you can park free for 10 minutes in the main car park, directly in front of the baggage claim area. If you exit within 10 minutes you do not need to go to the pay machines. Take your ticket directly to the car park exit. At Invercargill Airport you can now use your Credit Card as your parking ticket. Please click on the below link to read the instructions on how this works! If you require assistance with this please see one of our friendly Customer Service representatives or contact Invercargill Airport Administration 03 218 6920. We have a convenient drop-off zone just outside the terminal main entrance. We now have a bike stand available for the public to use, this is located by the rental cars car park. Please see one of our friendly staff if you need assistance with locating the stand. From day five onwards: $5.00 flat rate per day or part thereof. Annual parking cards are available for frequent airport users. The annual parking card allows the user unlimited entry and unlimited parking for the validation period of the card. Complete the Annual Parking card application and send to the airport administrator or contact us for further information. For undercover parking, contact Executive Car Service. Issues, comments and complaints can be launched online by using the feedback form on the contact page.